Description - Our Smooth Flex Tiles feature a smooth, leather like pattern that allows these tiles to not only be installed in garages, but in virtually any room in your home. This tile features a hidden interlocking system that provides the highest level of water resistance, while giving you a solid clean look to your floor. 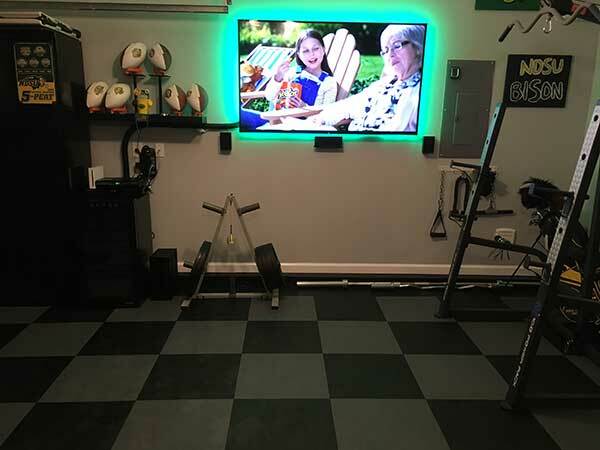 These garage tiles, like our other flex tiles, offer resistance to most chemicals and solvents and also help prevent fatigue during long periods of standing. These modular tiles are also very easy to install, only needing a sharp utility knife to cut the tiles to fit your space. These tiles are also mold and mildew resistant which is perfect for areas that have water issues. Note: Flex tile colors are produced in batches, which can lead to color variations in your order. All colors may present some color variation, but Black and Graphite can produce the most. These three colors can vary greatly between batches and thus it is recommended that you order more flooring than is needed for mistakes and replacements. This in turn gives you the greatest chance to keep continuity across your floor. Batching will also affect color variation between samples and your order with Black and Graphite showing the most variation. Material - Smooth Flex tiles are constructed entirely of a proprietary blend of flexible virgin PVC that guarantees the most durable garage tile on the market. 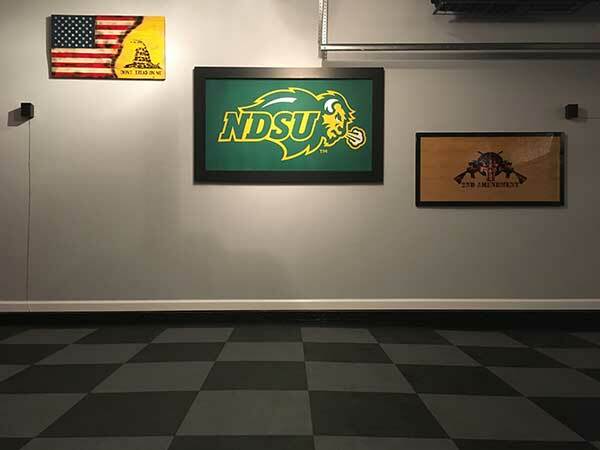 This custom blend tile also ensures that the tiles are flexible and have the anti-fatigue flooring qualities often associated with rubber flooring but also the durability, long life, and chemical resistance associated with PVC tiles. Recommended Uses - Smooth Flex tiles have been used successfully as a tile flooring option in entrance ways, as basement flooring, in laundry and utility rooms, as garage flooring, in rec rooms and bathrooms, in kid’s play rooms, dens, offices, locker rooms, and any other place where a decorative and easy to install floor tile option would be useful. Available in 8 vibrant colors. Can be easily cleaned and maintained. I would like to install your flex tiles on a commercial carpet. Will the tiles not separate? Can children dance on it without the tiles moving? Our Smooth Flex Tiles can be installed over a commercial carpet without the tiles separating. Children will be able to dance on the tiles without them moving. If for some reason the tiles did move, you can add some double sided tape underneath the floor to keep it in place. 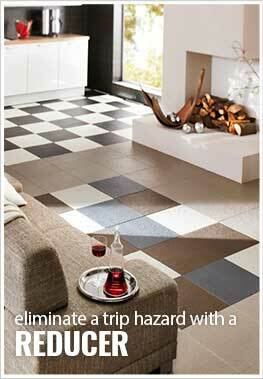 Can these tiles be installed in a 'shifted' or 'offset' pattern, rather than the traditionally aligned 'checkerboard'? Technically, yes you could install these tiles in an offset of ashlar brick pattern. To do this will take some work on your end, and you would need to glue the tiles down. First, you would need to cut the tabs off all the tiles. Next, you would use a pressure sensitive glue and follow the install instructions for how to use it and what trowel to use. You would then place and cut the tiles in the desired configuration. To figure out the number of tiles needed, please feel free to contact one of our Flooring Heroes via chat, phone, or email, and they would be more than happy to assist. I have a 4 1/2 car garage measuring about 24' x 47'. Is there any type of "Tee-Mold" accessory piece available that can be installed at midpoint or third points to take up expansion / contraction? If not, do you have any suggestions? There are no expansion joints available for our Smooth Flex Tiles. We just recommend leaving a 1/2" expansion joint where the floor meets the walls. Do the Smooth Flex Tiles provide any insulation? i.e. will they be as cold as the floor underneath or warmer? 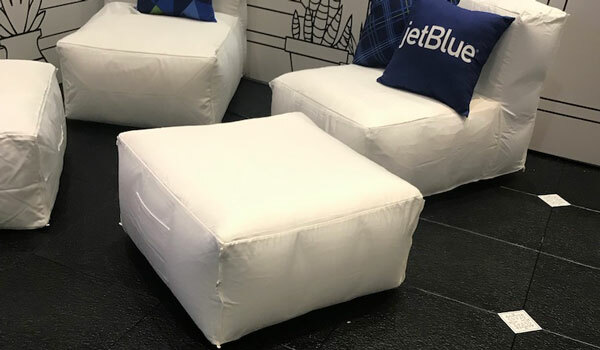 Our Smooth Flex Tiles will provide insulation and will be warmer than the concrete below. They will not be significantly warmer, but they will be warmer. Can you install this flooring over a wood deck outside in a screened in porch? You can install our Smooth Flex Tiles over a wood deck outside in a screened in porch. There are a few things you may notice with having these tiles in this environment. These tiles will expand and contract if this space is not temperature controlled. We recommend installing the flooring with a 1/2" wide expansion gap around the flooring. The next thing you will notice is that if the tiles are exposed to direct sunlight, they will fade. To help mitigate this, we recommend placing mats in the areas that get the most sunlight. Cleaning of these tiles is very easy. Simply sweep any large dirt and debris and then mop the tiles with a mild soap and water solution. We made a 5' X 5' mat for our kitchen, initially to cover a patching job to the ceramic floor tile that didn't match well. However, the surface is so much more comfortable to stand on and the rubber tile cleans up better and looks cleaner longer that we would have put a rubber tile mat down long ago over a perfect ceramic tile floor if we had known how good it would be. I gave the rubber tiles 4 rather than 5 stars because we bought black tile, and it has a slightly gray-ish cast--would have preferred a solid, true black. But no regrets at all. I would have given it 4.9 stars if possible. We created a subfloor for a lounge with the Gray and also did same with black but added embellishments to create a tile design. Product was easy to install, and looks great.